Every driver dislikes road construction and the traffic delays and hassle it brings. Nonetheless, it seems as if construction is constantly taking place on Massachusetts roads and bridges. Road construction is more than a mere annoyance to drivers, though, as both motorists and workers are placed at a heightened risk of personal injury and wrongful death. With cautious and cognizant driving, including following Massachusetts' "Move Over Law," these accidents can be avoided. According to the Centers for Disease Control and Prevention (CDC), close to 1,000 workers are killed annually in highway construction zone accidents. Further, greater than 40,000 people are seriously injured in construction zone accidents yearly, including broken bones, spinal cord injuries, traumatic brain injuries, and other life-changing catastrophic injuries. If you or a loved one has been injured or wrongfully killed in a construction accident, call the experienced Boston lawyers at Bellotti Law Group, P.C. today at 617-225-2100 for a FREE consultation. We understand the overwhelming emotions when the negligence or recklessness of another person is to blame. We also know, though, that your responsibilities to your family and others do not stop. We help pay your medical bills, recoup lost wages, and obtain compensation for your pain and suffering. We have offices in Boston, Cambridge, and Quincy and serve all of Massachusetts and Southern New England. The most critical steps in reducing road construction accidents is ensuring the area is properly marked and clearly visible, with adequate signage, barriers, and police presence if necessary to alert motorists to reducing speed and switching lanes. Pursuant to Massachusetts state law, titled the "Move Over" Law, motorists must reduce their speed and move over to accommodate emergency and police vehicles with activated lights. Many construction zone accidents involve striking police and emergency vehicles pulled over, which then often cause secondary accidents. This law is designed to reduce the occurs of these accidents and motorists can be fined upwards of $100 for noncompliance. There are many different causes of construction zone accidents, but some common reasons include regulatory violations, improper or inadequate signage around the construction site, vague or confusing lane markers, lack of barriers or guardrails, and insufficient traffic control like police, traffic lights and signals. The FHA encourages all drivers to operate safely, stay alert and aware of construction zones, which often cause delays and traffic pattern alterations, use headlamps for greater visibility, practice defensive and patient driving, don't tailgate or speed, and always expect delays and account for them by leaving enough time to reach your destination. Road construction zone accidents are devastating for victims and their families. Our nearly three decades of success can be put to work for you. 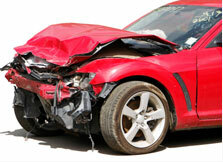 Contact the Boston personal injury attorneys and Boston wrongful death attorneys at Bellotti Law Group, P.C. today at 617-225-2100.